I don’t know why, but my guides never seem to show up, so I’ll just put them in the comments. Here it is. 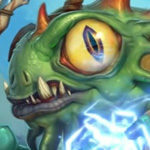 Everyone is familiar with Heal Zoo. It’s been in the meta for quite a while now. I figured I’d make some modifications that are not entirely awful. The main addition is the Corpsetaker package with Cheaty Anklebiter. Keleseth is not in the deck, so it probably won’t ever have the same potential that Heal Zoo has right now, but this is definitely a fun variant that you should try. The main inclusion in this deck is Cheaty Anklebiter. Obviously, this must replace Keleseth. Now that the 2-drop slot is freed up, you can put in some decent 2-drops. Vulgar Homunculus is a solid 2-drop that is always worth running in zoo if you don’t have Keleseth, and I chose to add one Dire Wolf Alpha to synergize with Argent Squire, Thrallmar Farseer, and Corpsetaker. 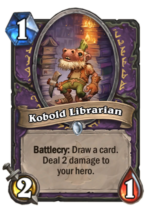 It’s also a good card even without synergies. Cheaty Anklebiter is a great activator for both Happy Ghoul and Lightwarden. 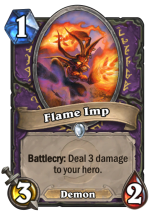 It has the first activation off of the ping damage that can activate heal synergy cards immediately, and, if it stays on the board, can attack again. 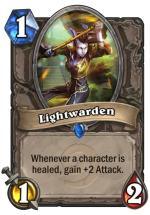 This causes another heal synergy activation. Once Cheaty Anklebiter is added, it makes no sense to go without Corpsetaker. 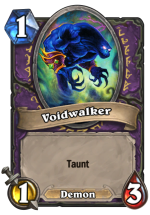 Taunt synergy is already present in current Heal Zoo lists with Voidwalker and Vulgar Homunculus. Since you no longer need Voodoo Doctor in your deck now that you have Cheaty Anklebiter, you can put in Argent Squire to help with the Divine Shield part of your Corspetaker synergies while also being on comparable power level with Voodoo Doctor. Windfury on the Corspetaker is just too good to pass up, so that is why I included one Thrallmar Farseer. Corpsetaker can be incredibly deadly. If you have both Windfury and Lifesteal, you get two activations towards your heal synergy. That is awesome. Plus, it is also a 4 mana 3/3 with Taunt, Divine Shield, Lifesteal, and Windfury. That is also quite awesome. 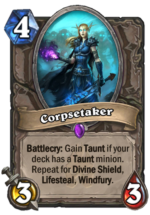 Corpsetaker is also just way better than Lifedrinker, which has a low win rate and is also non-impactful. To conclude, this deck is clearly tier 1. I couldn’t expect anything less from the decks I create. Cheaty Anklebiter is also a top tier card. It literally breaks the meta. If this deck is not plaguing the ladder by the end of the season, I will be so disappointed. That’s why you gotta like the guide so my goal can be achieved. I might also do more in the future. Until then, have fun and enjoy.